Andrews Automation offer Denipro solutions including Easychain, Denimove, Deniconda, Denirug and Deniway. Andrews Automation are able to offer a comprehensive range of conveyor systems by Denipro, a manufacturer at the forefront of innovative conveyor equipment parts. 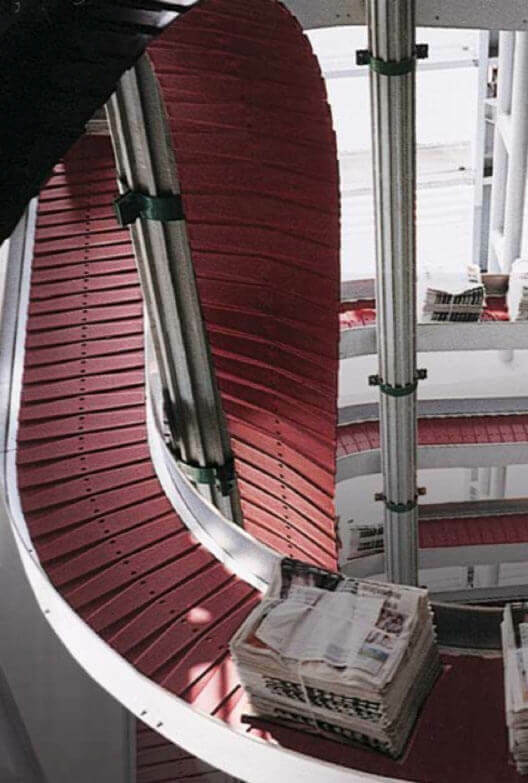 One of the most popular Denipro conveyor systems is the Deniway plate chain conveyor. 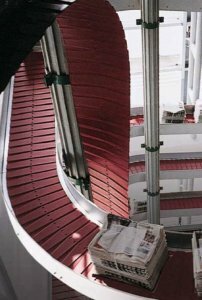 The conveyor is the result of more than twenty years of experience. Developers have continually optimised the previous systems used in the graphics industry. Virtually none of the world’s most important newspapers now dispatch from the printing house without it. With a conveying speed of up to 2m/s and a maximum load of 50 kg/m, Deniway is the ideal solution for industrial material flow and motion technology and for transporting larger cargo. Deniway conveys in all three dimensions, overcomes differences in height and can also manage complex loops. The economic use of energy and low maintenance and operating costs are additional selling points for the new plate conveyor from Andrews Automation and Denipro. If you have an existing system that requires extending or would like to new denipro system, Andrews Automation can provide a versatile solutions which works perfectly to your exact specification. Give us a call today on 01405 768 900 to discuss your automation requirements.